Fairness is treating people justly, not letting personal feelings bias decisions about others, and giving everyone a fair chance. It is the bedrock of any system of justice. It is the product of moral judgment – the process by which people determine what is morally right, what is morally wrong, and what is morally proscribed. Along with the commitment to fairness in social relations, there is a highly tuned skill in the abstract logic of equitable arrangements - determining what is fair no matter whom or what is involved. 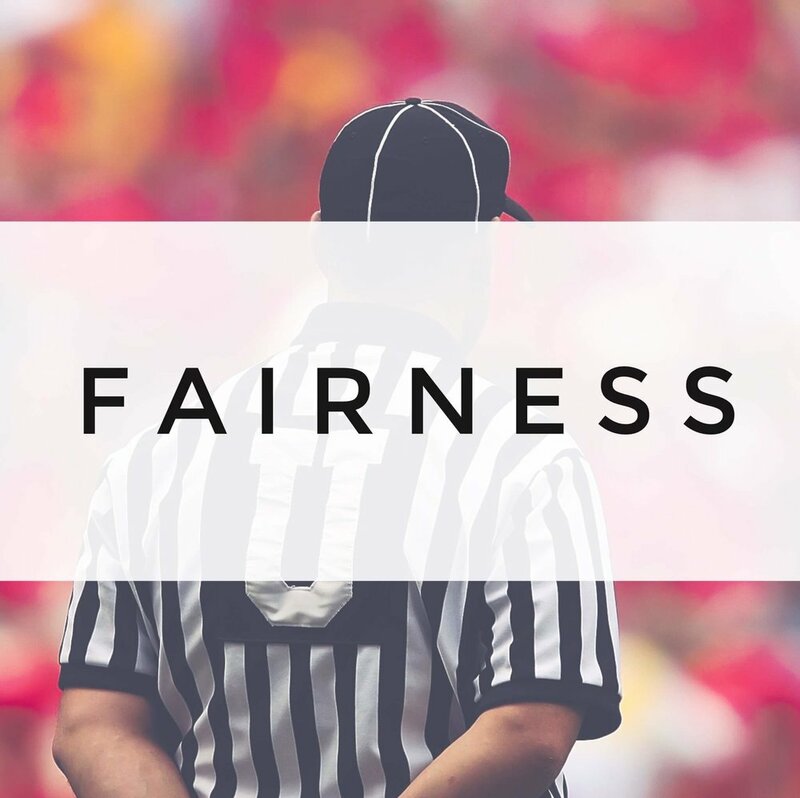 Fairness includes two types of reasoning: “justice reasoning,” which emphasizes logic, and “care reasoning,” which includes empathy, care, and the ability and willingness to take the perspective of others.